The gallery will close at 6pm on Friday 19 April, and will be closed on Sunday 21 April. 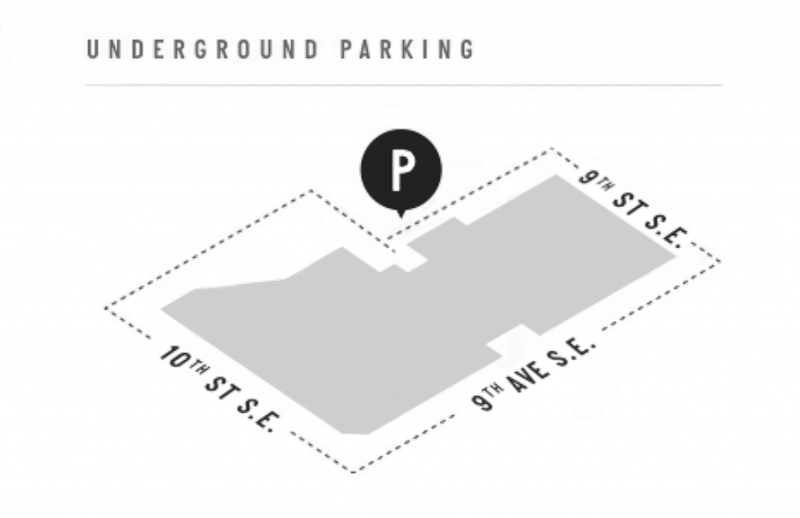 Complimentary parking is available in the Atlantic Avenue Art Block underground parkade and can be accessed from the south side of the building. Esker will validate your parking ticket at the end of your gallery visit. Free public wifi is available during your visit. Esker Foundation is fully accessible, with elevator access up to the fourth floor available on all levels of the building and parkade. A swing door with an automatic door control into the gallery is situated adjacent to the gallery’s revolving door. A wheelchair-accessible public washroom is available on the fourth floor. There are barrier-free parking spaces on both levels of the parkade and in the surface parking lot at the rear of the building. If you have questions regarding access to Esker Foundation’s gallery or programs, please don’t hesitate to contact us at 403-930-2490. Group and school tours are available upon request; please pre-book at least two weeks in advance by emailing . Esker Foundation is located on the traditional territories of the Niitsitapi (Blackfoot) and the people of the Treaty 7 region in Southern Alberta, which includes the Siksika, the Piikuni, the Kainai, the Tsuut’ina, and the Stoney Nakoda First Nations. The City of Calgary is also home to Métis Nation of Alberta, Region III. Esker Foundation extends sincere appreciation for the opportunity to live and learn on this territory in respect and gratitude. To plan your trip to Esker Foundation and for more information on routes, schedules, fares, and maps, please visit the Calgary Transit website at www.calgarytransit.com or phone (403) 262-1000. Inglewood can be reached via many Calgary Transit bus routes. Routes 1, 75, 302, 307 MAX, and 411 all run along 9 Avenue SE with stops all near to Esker Foundation. The closest CTrain stop to Esker Foundation is City Hall station. From the station you can walk south two blocks to 9 Avenue SE to catch a Calgary Transit bus into Inglewood.